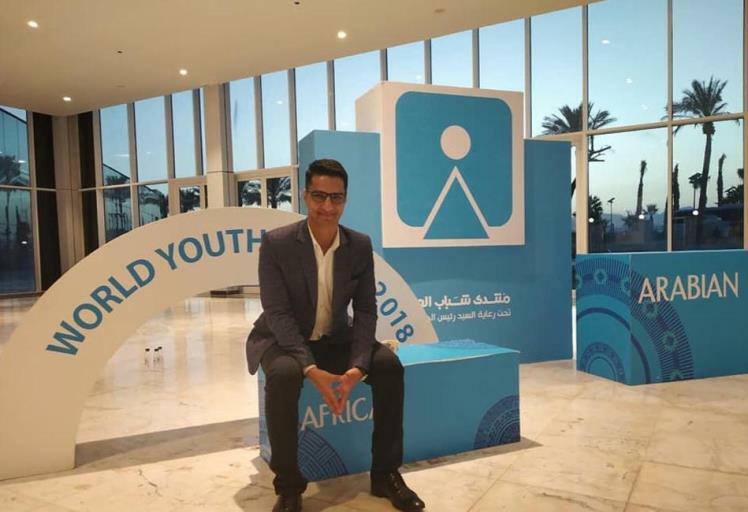 CAIRO – 13 November 2018: Recently, Egypt held the second edition of the World Youth Forum, bringing together individuals from countries all across the globe. The second edition of the forum has seen a significant increase in participation from 2017's 3,000 to more than 5,000 this year. To further understand the effect of the World Youth Forum and delve into the impact that the forum had on participants, Egypt Forward is collecting testimonies and opinion pieces from those who have attended and participated in the forum. 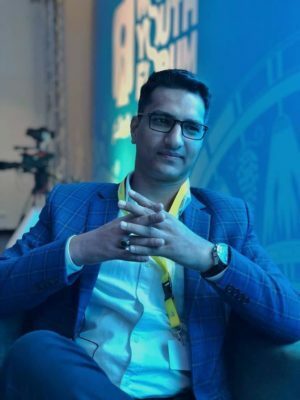 One of the participants that Egypt Forward has spoken to is Adnan Manzoor Naqshbandi, an Indian lawyer born in Kashmir, who praised the role that the World Youth Forum has played in bringing young individuals and of different nations helping one another to achieve the highest levels of development. In his testimony, Naqshbandi said, "The World Youth Forum has truly embodied the Egyptian Proverb, “The man who knows how to lead one of his brothers towards what he has known may one day be saved by that very brother.” It gave me a one of a kind window to experience Egypt and to make memories that I shall cherish for times to come. I am truly proud to have been able to utilise this opportunity." Speaking of the different nationalities present, the level of the discussion and the event's organization, which he enjoyed, Naqshbandi stated, "One can only dream of interacting with people coming from 180 countries, backgrounds and ethnicities and I feel truly fortunate to have lived that dream. The great halls of the International Congress Center speak of Egyptian culture through its ambience, walls and paintings accompanied by the adorations done for the World Youth Forum. Along with the interior decorations, the structure in itself is an eye-catching one in the beautiful city of Sharm Al-Sheikh – the city of peace." "This city of warm people and scenic beaches will always be remembered by all of us for playing such a beautiful host for the World Youth Forum. The seven days spent in this part of the world, where sunsets seem like poems, were indeed breath-taking." 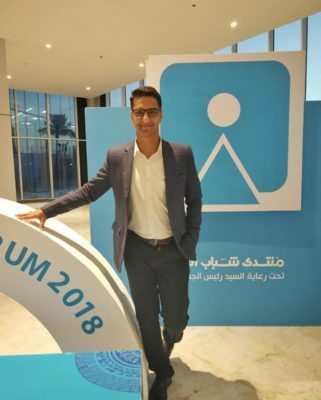 Naqshbandi enjoyed the forum and very much appreciated the chance he got to be heard and to discuss his ideas with people from all over the world, "I am highly thankful to his Excellency President Abdel Fattah El-sisi for initiating such a dream project and setting an example for other countries to follow. The concept and labour behind the idea of this forum was so exhaustive and informative that it dealt with every critical issue prevailing in today's society and deliberated solution-oriented discussions." "His Excellency President Abdel Fattah El-Sisi’s approach of the development of youth was full of love, affection and care. The agendas were brainstorming and the atmosphere was an eye-opening one. I made friends for life, as well as acquainted beautiful souls from all over the world," Naqshbandi continued. "While the forum engaged us on an intellectual level, the scenic beauty and hospitality of Egypt was remarkable on its own. The warm Egyptian people welcomed us with open arms. The Ministry of Tourism has done a great job at nourishing the country's tourism in such a profound way. I am grateful to his Excellency Abdel Fattah El-sisi for inviting me to the World Youth Forum and for providing me a platform where I can express, educate and evolve myself. I would also like to express my gratitude towards the Ministry of Education for letting us know how Egypt nurtures leaders of tomorrow from childhood and the Ministry of Tourism for our safe and luxurious visit to Egypt." "See you in Aswan -2019 for the third chapter of WYF :)," he said.